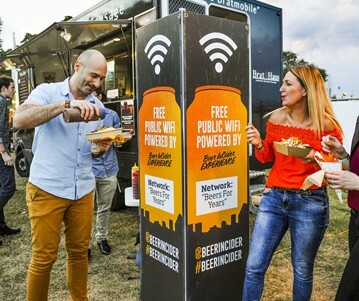 We have three types of units: Our Tower that just loves being noticed in a crowd, our Express Unit that’s our background powerhouse keeping medium sized events connected and our smallest unit, the Go HD that’s perfect for small groups and payment systems. 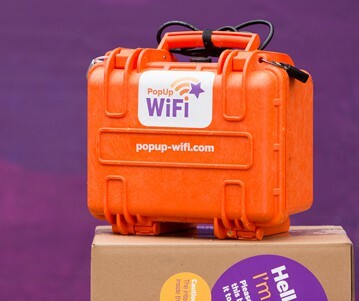 PopUp WiFi Go HD units are a quick and easy mobile internet option for small groups, small spaces and cashless payment systems. 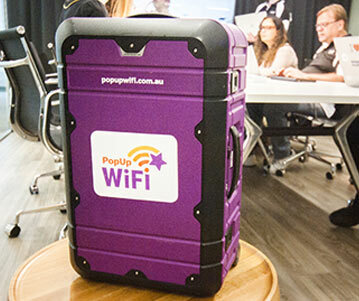 Our newest baby model on the scene, PopUp WiFi Go is an affordable, reliable solution for situations when you only need a small number of devices connected, like at a bar or registrations desk. Easy to self-install in less than a minute, they’re like a low-cost internet insurance option for when you just need the internet to work.